This volume explores the advantages of seeing a topic from two different but complementary perspectives. All of the papers in the volume were read at two sessions at SBL (2005 and 2006) that were co-sponsored by the Social Sciences and the Hebrew Bible Section of SBL and the American Schools of Oriental Research. The sessions were designed to promote dialogue among scholars by juxtaposing research based in the social sciences and archaeology. Scholars contributed papers from within their own methodological and research perspective, but addressed possible interactions and overlaps that their research might contribute to the complementary perspective. Significant intersections between the approaches emerged when patterns of social interactions accessed by social scientific methods paralleled patterns in material remains accessed by archaeological methods. 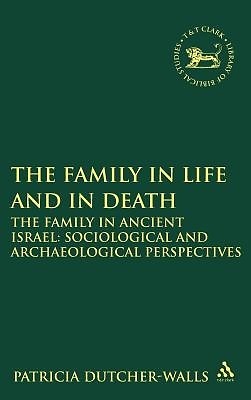 The sessions and thus the book achieve coherence because all of the papers attended to aspects of the family in ancient Israel. While the presenters selected their own topics in the subject area, several foci emerged that reflect current research interests in these fields. These foci include research on ancestors and the cult of the dead, configurations of family house structures, and family relational interactions. All of the papers make their methods and approaches visible and delineate clearly the textual or material basis of their research, so that the dialogue among the papers is facilitated.